Exhibited in the Greater MPLS Exhibition at the Soap Factory. 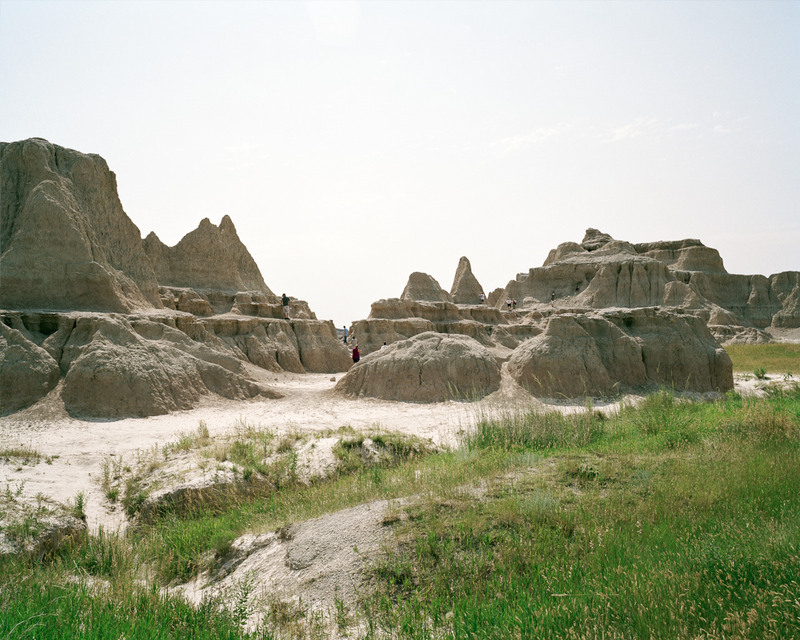 With this series of images, I am presenting the geographic terrain of badlands as a place of transience; a heterotopia of such which has little room for human habitation. 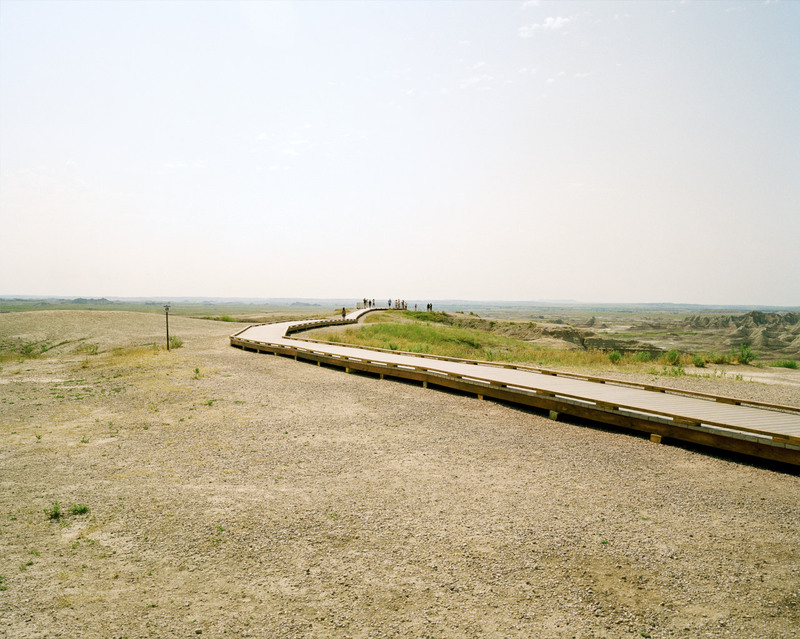 While my other work to date remains void of the figure, the Badlands Series introduces the humans as mere guests in a natural phenomenon; they seem at once like toy soldiers, moveable and placable at the will of an external hand. In this way, the introduction of the figure becomes as vacuous and devoid of agency as the vacated places of my earlier photographs. 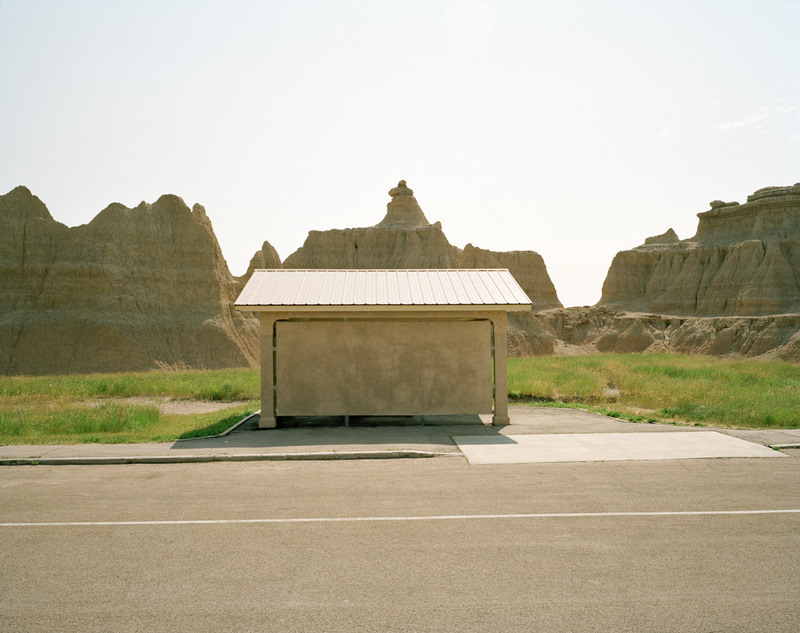 As part of the Exhibition Pay Attention: GM08, while traveling in the Badlands of South Dakota, I selected a tumbleweed to travel with me back to the gallery in Minneapolis. 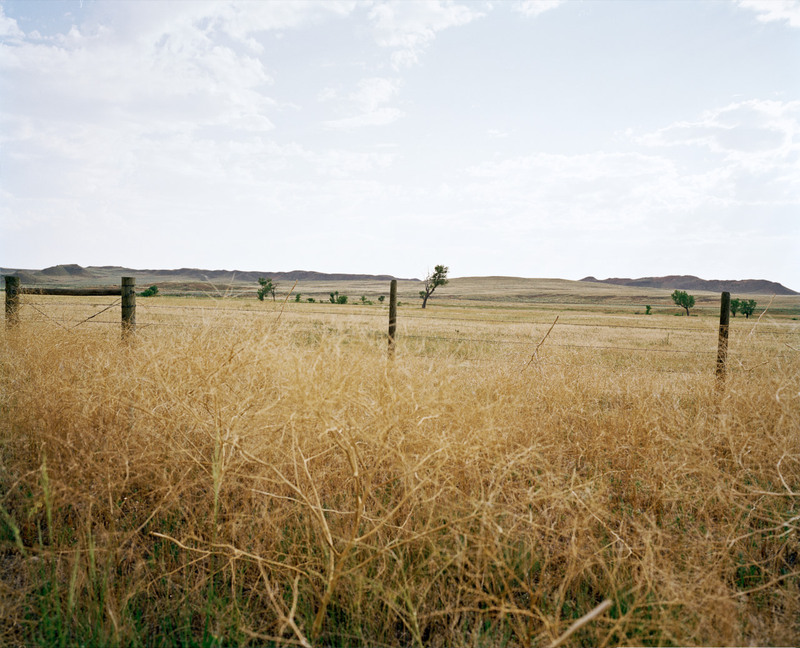 The tumbleweed served as the perfect symbol of the transient nature of certain landscapes. When returned to the gallery, it was surrounded by several high-power fans allowing it to spin endlessly in space–perpetually in motion but traveling nowhere.